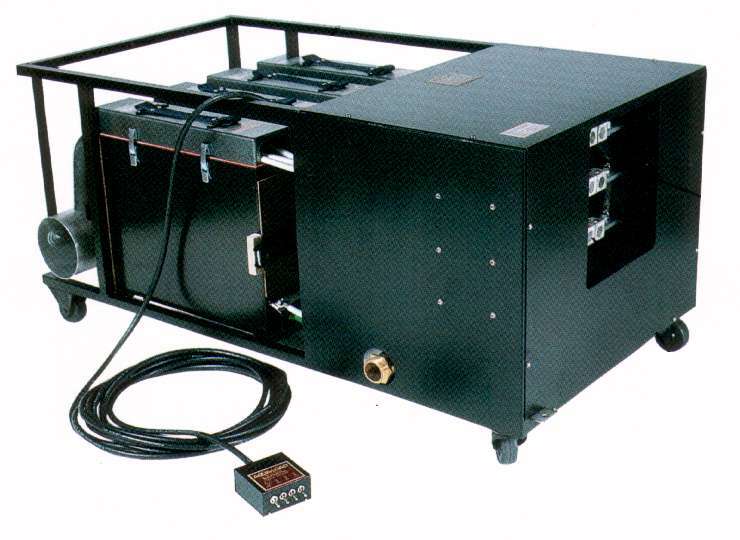 This high capacity water cooled load bank consists of four X100 a load tanks interconnected with water inlet and outlet headers and electrical 350 amp contactors. Contactors are remotely controlled. Each of the four tanks can accommodate up to three resistor elements that are ordered separately in sets of three. Resistor elements can be easily replaced in the field. 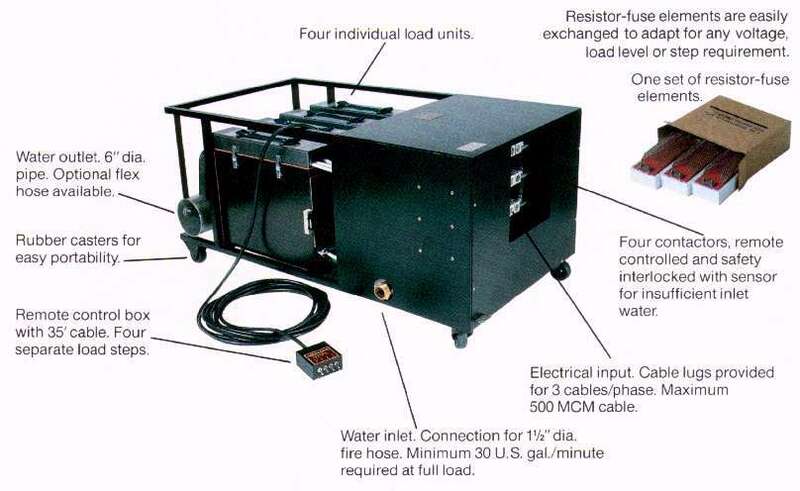 With different connections this can also be used as a single phase or DC load bank. 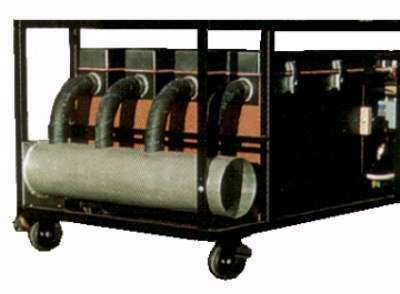 A clean water source of 30 gpm for 600kW (or proportionally less flow) is required. 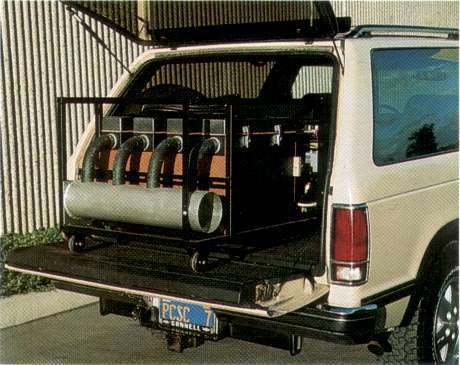 This is usually provided using a 1-1/2" fire hose. A cooling tower source can also be used as long as there is no sediment in the water and adequate flow is provided. Low water pressure protection automatically opens all contactors. Cable lugs are provided for three cables per phase up to 500MCM. Four sets of resistors installed, but these must be ordered separately. Order four sets of resistors of the proper voltage at the following link for factory installation: RES208.